DNA evidence ties Alexander Christopher Ewing to the slayings of Patricia Louise Smith, 50, and three members of the Bennett family in Aurora, authorities said. AURORA, Colorado — A Nevada inmate convicted of attacking a couple with an ax handle in their bedroom is being charged with killing four people with a hammer in suburban Denver over 30 years ago, authorities announced Friday. Local and state law enforcement officials said DNA evidence ties Alexander Christopher Ewing to the slayings of Patricia Louise Smith, 50, in Lakewood and three members of the Bennett family in Aurora in 1984. A hammer was used to kill Smith on Jan. 10, 1984. 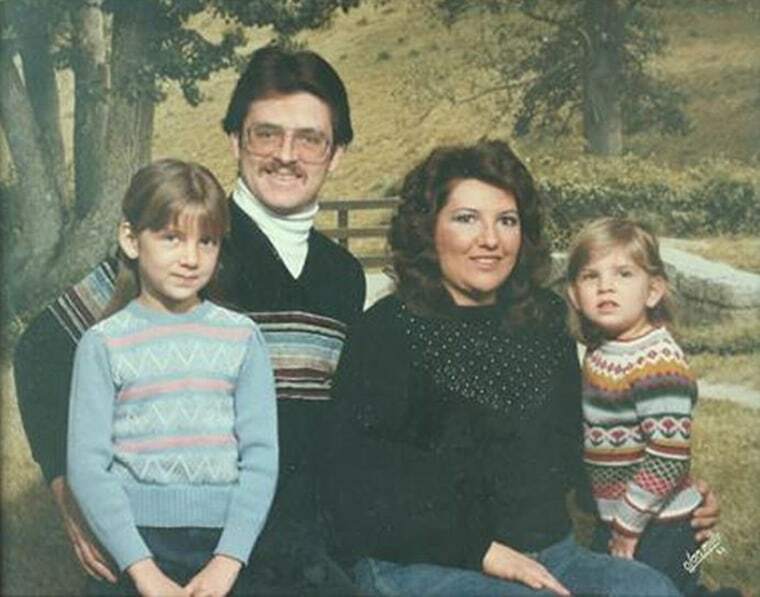 About a week later, a different hammer was used to kill Bruce and Debra Bennett and their 7-year-old daughter Melissa in Aurora. A 3-year-old daughter, Vanessa, was injured but survived. The two cases were tied together by DNA evidence. Ewing has been behind bars in Nevada since the summer of 1984 after he escaped there while being transported to Kingman, Arizona, from St. George, Utah, for a court appearance on attempted murder and burglary charges. His sentence runs through 2037 but he would be eligible for parole in 2021. Nevada court records show a jury found Ewing, under the name Alex C. Ewing, was guilty of escaping from the custody of two Arizona sheriff's deputies at a gas station in Henderson, Nevada, southeast of Las Vegas on Aug. 9, 1984, and entering an unlocked home and severely beating a woman and her husband with an ax handle in their bedroom. Two young boys were asleep in other rooms in the house. Ewing, then 23, was arrested again two days later about 15 miles away by park rangers at Lake Mead. The Colorado killings followed two other attacks near Denver that either involved or were suspected of involving a hammer. On Jan. 4, 1984, a couple in Aurora woke up to see a man in their bedroom who hit each of them with a hammer before fleeing. They both survived. Late on Jan. 9 or early on Jan 10, a flight attendant was beaten, possibly with a hammer, and sexually assaulted after she pulled into the garage of her home in Aurora. She survived. Smith was attacked in the condo she shared with her daughter and grandchildren and the hammer was left behind. The Bennett family was attacked either the night of Jan. 15 or the morning of Jan. 16. They lived on the other side of the Denver metro area but their home and Smith's home were both near a main east-west road, Alameda Avenue, leading investigators to suspect the killer used that route.